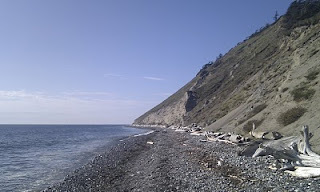 Outdoor writer and long distance hiker Chris Townsend has been out for a walk again. It took him a couple of months. Like he has written in his book Crossing Arizona: "Walking day after day, week after week, and camping out at night is, in my view, the way to really experience nature in all its aspects.". 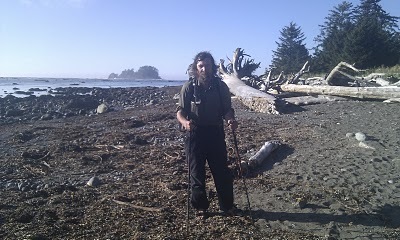 Jörgen: Chris, I know you have hiked the many of the famous trails in the US, like the PCT and the CDT. But I have to admit that when you first mentioned the PNT this summer I had no idea what that was. Could you give us a short description of the trail and its features? Chris: The Pacific Northwest Trail is the creation of long distance hiker Ron Strickland, who came up with the idea in the late 1970s. 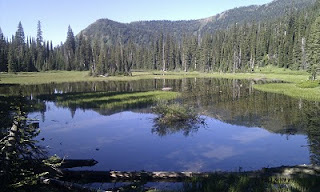 The trail runs from the Rocky Mountains west to the Pacific Ocean through the states of Montana, Idaho and Washington. Despite the name it's a route rather than a trail and involves abandoned trails, forest roads, highways and cross-country travel as well as maintained trails. There are few trail signs and route-finding and navigation is often difficult. It runs through three national parks - Glacier, North Cascades and Olympic - and a few wilderness areas, most notably the Pasayten Wilderness in the Cascade Mountains. The distance is roughly 2000km. Trail work is on going and in years to come there will be more trail and less roads. Jörgen: Sounds like very varied terrain to me. Tell us about it. How was your hike? Where did you start and end? Time on the trail?Weather and terrain? What is your strongest memory? Chris: The hike was enjoyable, though there was a little more road walking than I'd have liked. 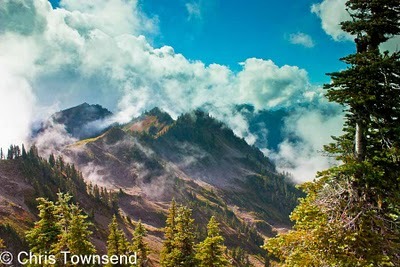 The PNT starts at Chief Mountain on the east side of Glacier National Park and finishes at Capa Alava in Olympic National Park, which is the westernmost point of the 48 contiguous states. In terms of weather the walk split into two sections. For the first seven weeks it was mostly warm and sunny, with occasional thunderstorms. For the last four weeks it rained almost every day and was much cooler with low clouds and very little sunshine. Most of the walk was in forests with terrain varying from gravel roads to dense head high vegetation through which I had to bushwhack. There were some timberline and above timberline sections and a couple of days on the coast at the finish. The walk took me 75 days, of which were 7 were rest days. Most days I walked around 26km. The longest day was 52km. I know from previous long walks that my memories will change over time and what stands out now may not do so in the future. At present my strongest memory is of hiking towards the huge glacier-clad peak of Mount Baker in the North Cascades as the clouds finally cleared after nine wet days with virtually no views. That was a wonderful few hours. Jörgen: Could you give us a quick overview of the gear you brought; base weight and such? Was there some gear you brought that was new to you on a long walk like this? Some gear that performed better than expected? Some that did not? My base weight was around 9kg without my camera gear and 12kg with it. I reckon the average weight I carried with maps, food and fuel was around 15kg, the highest with ten days of supplies and 4 litres of water around 24kg. For gear I took a mix of new and well-proven items. Some items were a return to the past - for the first time since my first long distance walk in 1978 I used a ridge tent - GoLite Shangri-La 1 - and an alcohol stove - Caldera TiTri Inferno. These were much lighter than 32 years ago of course. Then I had a Saunders Backpacker II tent weighing 2kg and a Trangia stove. The Shangri-La 1 was fine. I had the Nest inner as well, which was essential as mosquito protection early in the walk and proved useful for keeping my gear dry in the wet last month. The TiTri stove was one of my favourite items. I used it with wood when it was dry and really liked having a mini camp fire. For the first time I used a quilt - the GoLite Ultralite 3-Season - and this was okay though I missed the feeling of being cocooned inside on chilly nights and being able to easily use it as clothing with the drawcord tightened under my arms. I'll go back to a sleeping bag in future. I slept on a Pacific Outdoor Equipment Ether 6 2/3 airbed, which was wonderfully comfortable until it sprang a tiny leak towards the end of the hike so I had to blow it up two or three times during the night. I patched it but couldn't totally seal the leak. I started out with a GoLite Pinnacle pack but this started to deform and developed tears after six weeks so I changed it for a GoLite Quest, which was ideal though heavier. I've used Pinnacles before and really liked them so I was surprised at this one. I think it may have been a rogue model that slipped through quality control. Being from Scotland I feel ill-equipped without a good quality waterproof jacket. On this trip I took a Rab Demand Pull-On, one of the lightest eVent garments around. During the first seven weeks, when it was only worn briefly in thunderstorms, I thought a lighter, less-specified jacket might have been better. However during the wet weather of the last month I was glad of a garment with a decent hood and good breathability. 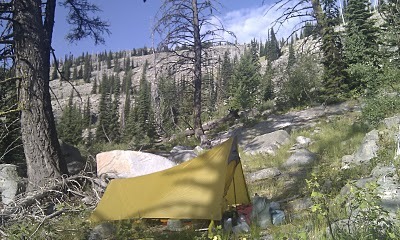 Other than the Pinnacle pack and the Ether airbed all my equipment worked well. Both those items have gone back to the manufacturers for examination as they shouldn't have failed the way they did. 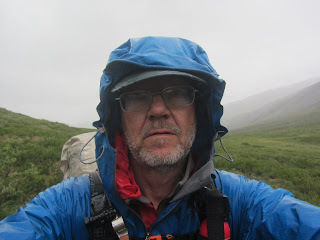 The only change I would make if doing the walk again would be to take a synthetic fill jacket instead of a down one, which would have been more versatile in the wet weather. I should mention that the photos that we have borrowed were taken with a camera phone. Chris is at the moment sorting about 1800 RAW files, some of which we will no doubt see in the upcoming, long articles on his walk in TGO Magazine. Thanks Jörgen for bringing this interview to a wider audience. Chris's gear reflections are very interesting and helpful. Yes, there are probably few people that have both been testing new gear regularly as a job for decades and who also has Chris's experience of really long walks. He also has adapted to new and lighter gear, which cannot be said of everyone in his agegroup. Myself, I used approximately the same gear from 1985-2003 and thought that the greatest. Until I started experimenting with light gear, which was a revelation that has lowere my base weight from 18 kilos to 6 kilos since then. Jörgen, thank you for conducting this interview. It will be great inspiration for next year to watch Chris (and Andy Skurka's) experiences unfold in words and pictures over these coming winter months. thanks chris and jorgen, a good taster of whats to come! Thanks Jorgen and Chris for providing the PNT with some well-deserved publicity. 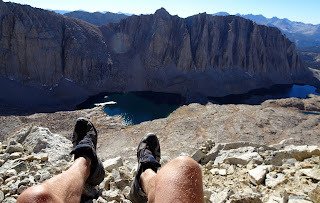 I was enthusiastically following Chris' journey before during, and now after and hearing more of his thoughts on one of my favorite trails is spectacular. I've just ordered a GoLite Pinnacle, so I sincerely hope that this was a one-off manufacturing defect. That said, 24kg even for short periods was probably far and above what the pack was designed for (25 times it's weight) and far and above what I'd be using it for. That's optimism for you!